Read news about this event here. 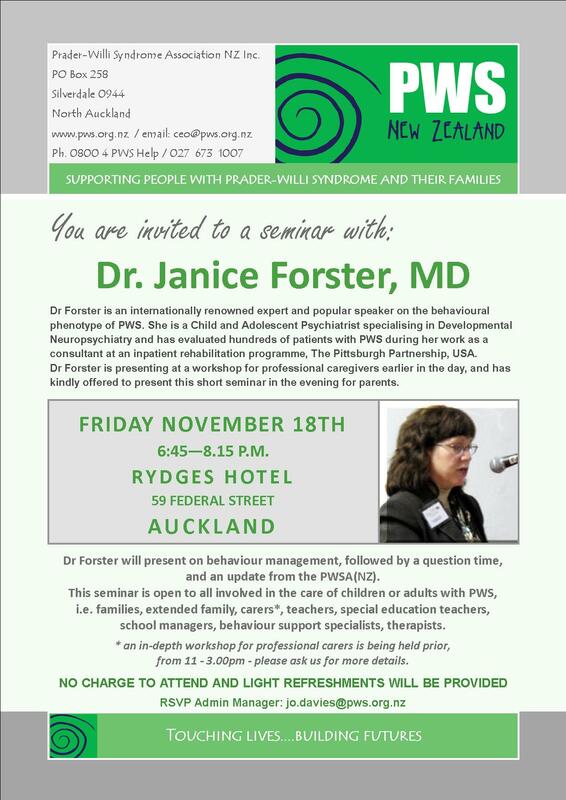 We hold these every 2 years at different locations around New Zealand. 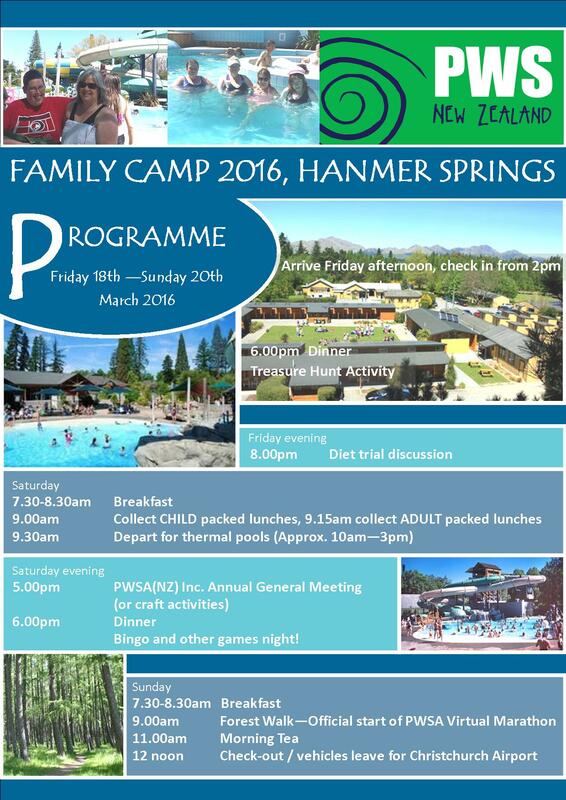 Our family camps are for people who have PWS of all ages to attend with their families or support workers. Our next camp will be held in 2020. 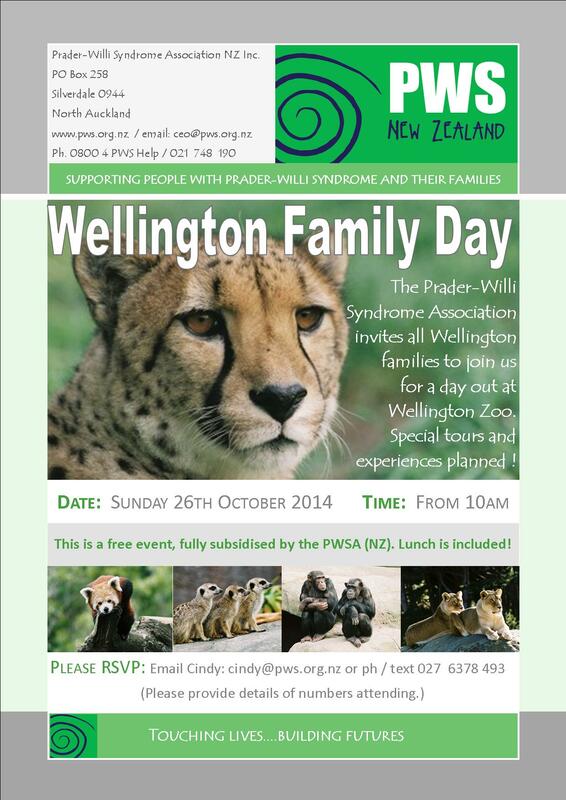 These are for families with young or newly diagnosed children who have PWS. They are designed to be informal, social events where new families can meet others, share experiences, ask questions and feel supported. 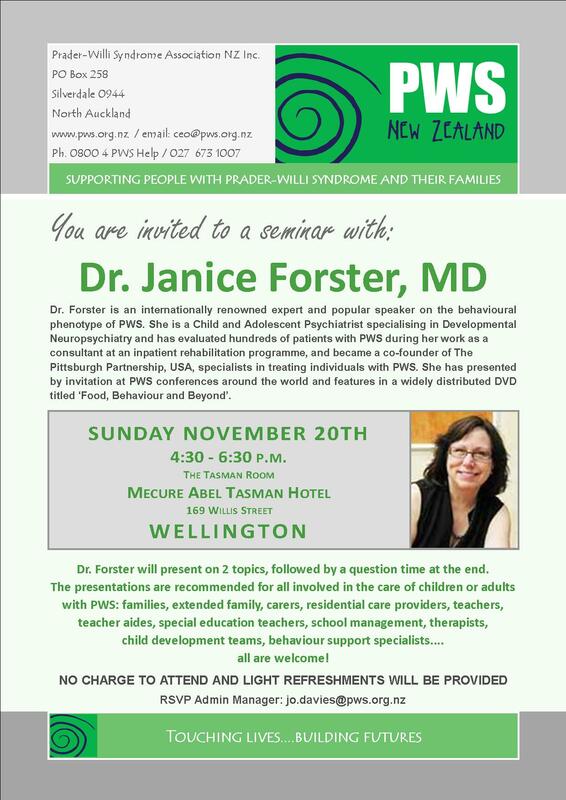 Sometimes we may also offer informal presentations at these weekends. 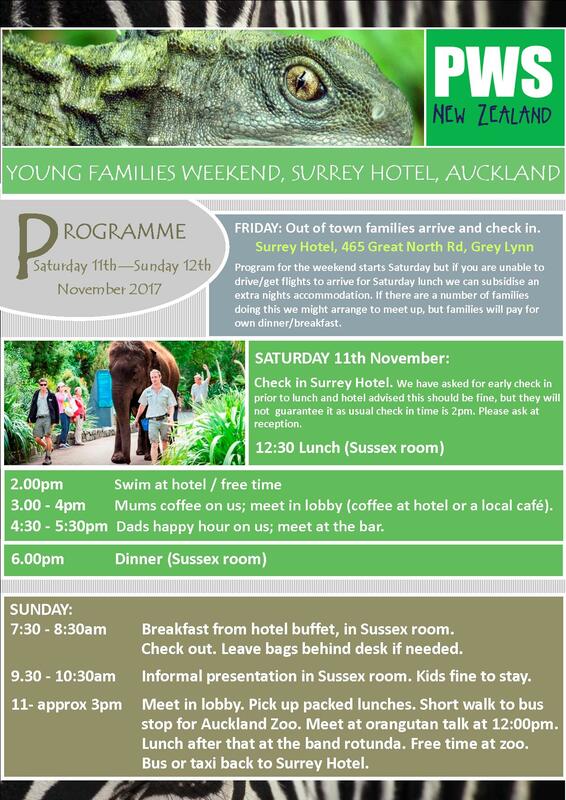 Young families weekends take place in alternate years to family camps. 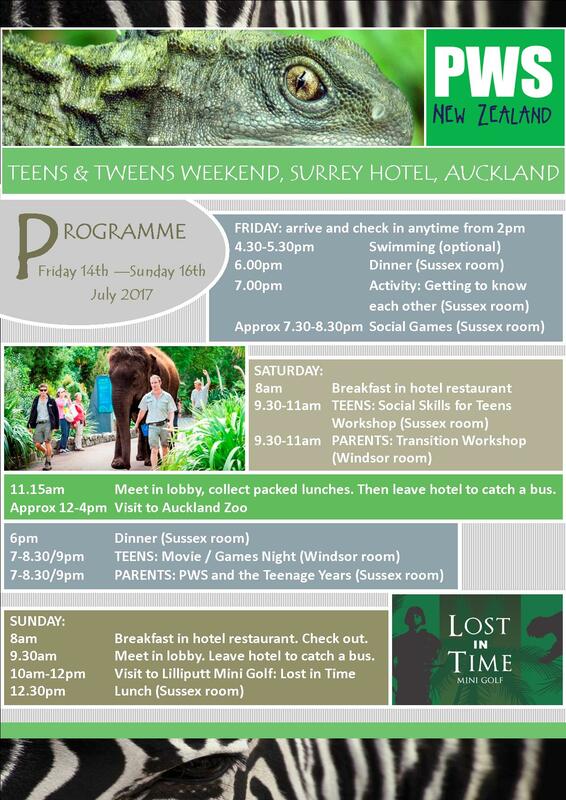 These weekends have a focus on transition and on social opportunities for tweens and teens with PWS. 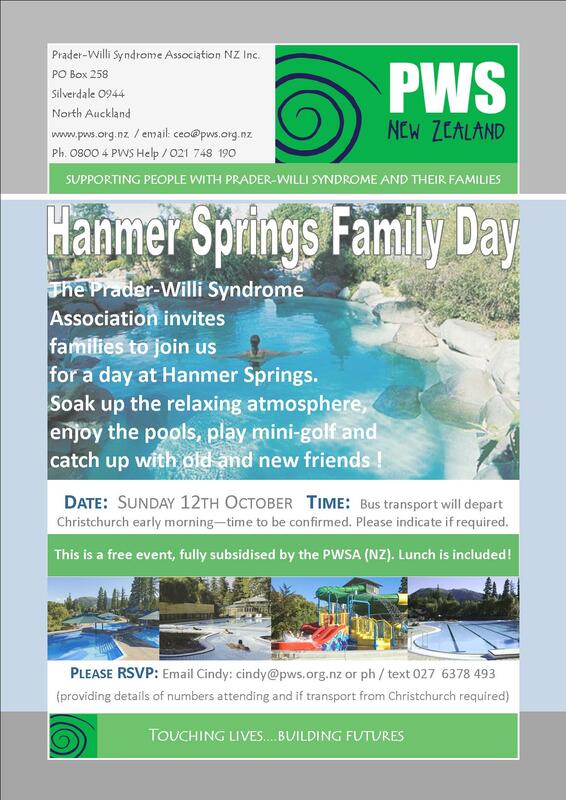 Adolescence can be a difficult time, especially for families affected by PWS, so these weekends provide an ideal opportunity to share experiences, support one another and discuss the future. 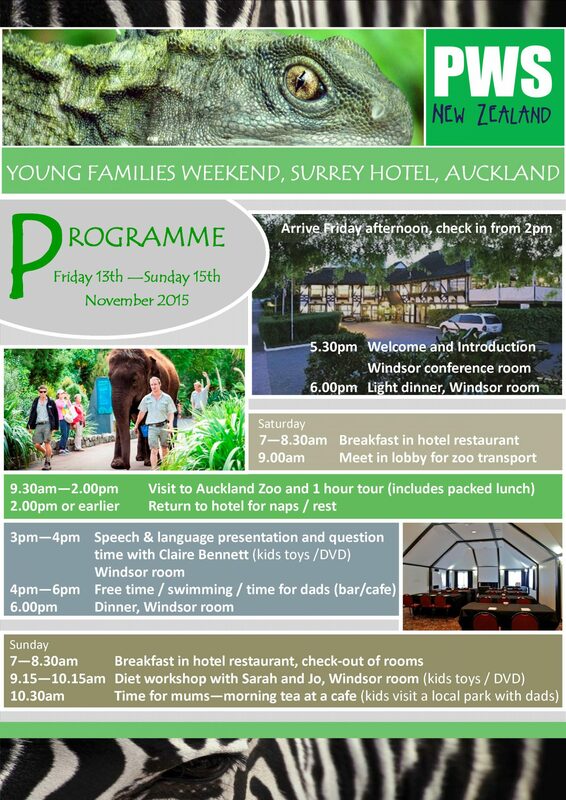 The weekend may also involve informative sessions on transition. 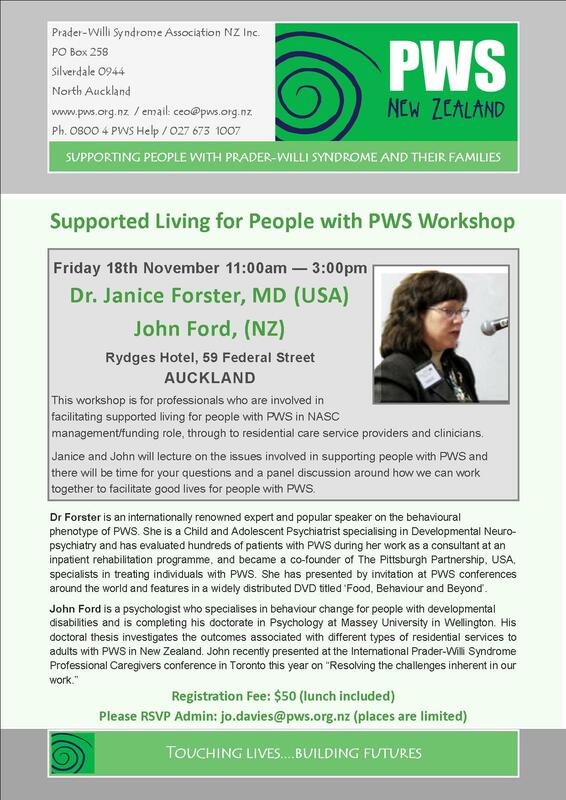 We have recently set up an Adults with PWS Leadership Group who have lots of ideas about the support they would like from the PWSA. We are listening and wish to facilitate more social opportunities for adults and for the Leadership Group to meet again. 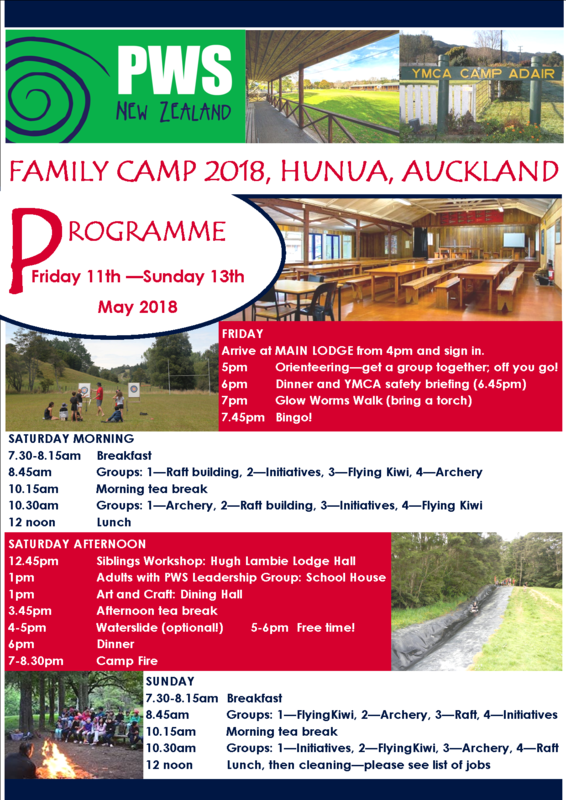 We hold regional family days in the main centres of New Zealand on an annual basis. We are establishing regional coordinators who can help us to facilitate these and may wish to coordinate additional events. If you are keen to host a local event, whether it’s a Christmas party or a get together at a local venue, please get in touch because we would be keen to help facilitate your initiatives.